Need an Affordable, User Friendly Event Tracking Database for your Pastor and/or Church? The Pastoral Recordbase Could Be Just What You Have Been Looking For. Pastoral Recordbase - Event Tracking Database provides Pastors and/or churches with a simple and easy solution to track their events such as baby dedications, baptisms, funerals, sermons, weddings and much more with no security so you can modify the Pastoral Recordbase if needed to fit the needs of your church, and you can easily add security later after modifying. I also have no limit on the number of event records for the Pastoral Recordbase. Small to medium-sized churches often have volunteers who maintains the church records and events. These volunteers need a database that is simple, inexpensive and user friendly to track these very important events. The Pastor calls you one hour before church service and tells you Sis. 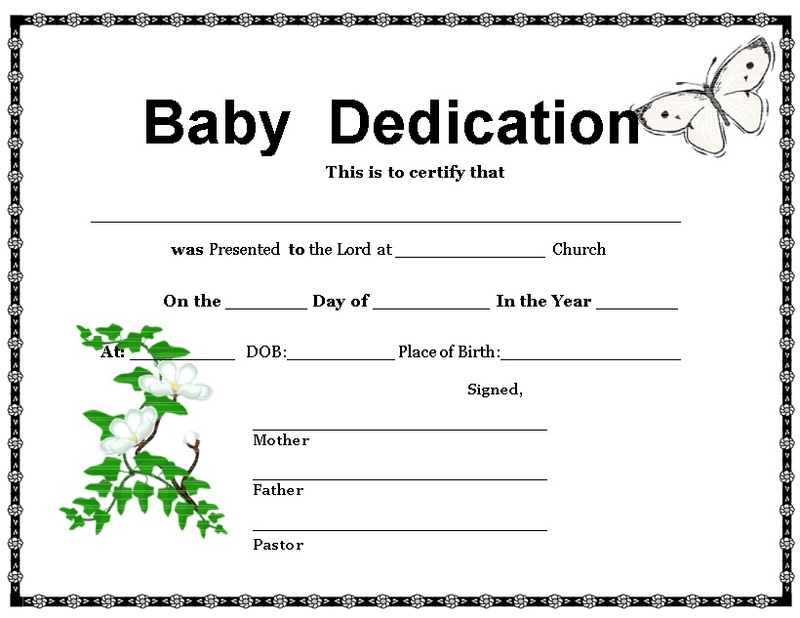 Sue has requested a copy of her baby's dedication certificate because she's lost her copy and was wondering if she could pick it up at church today. What do you do? 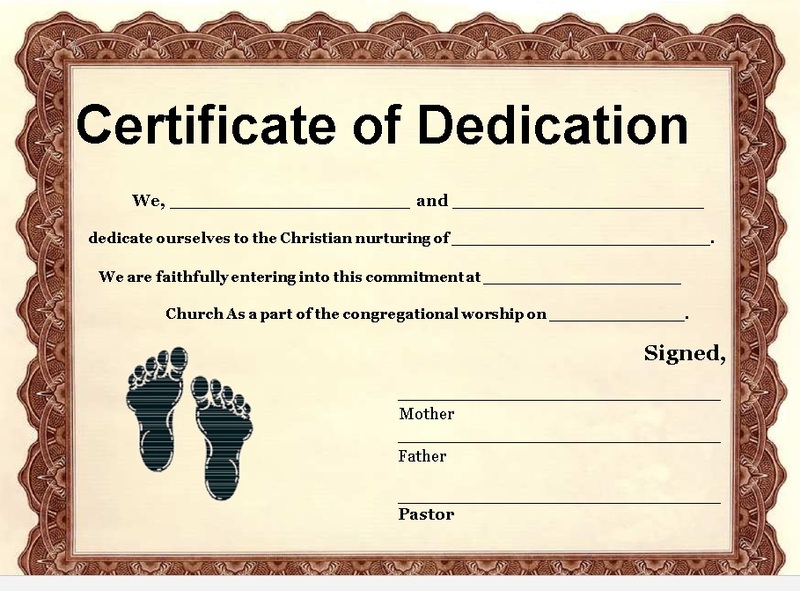 Pastoral Recordbase can generate a copy of the original baby dedication certificate with the click of a button so you can print it. The Pastor's wife has asked you for a list baptisms with names for the last quarter before tomorrow's service. What do you do? 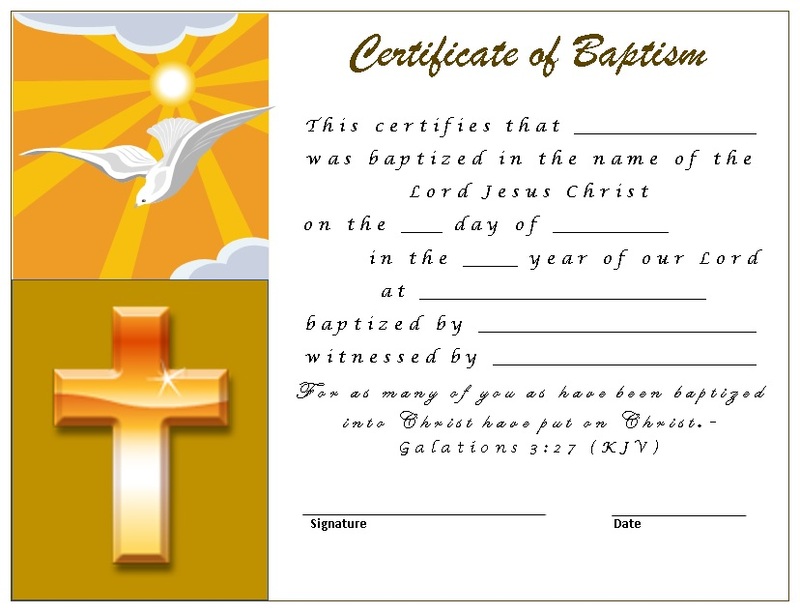 Pastoral Recordbase can generate a report of baptisms with names, etc. that can be filtered by the last quarter, monthly, etc. with the click of a button so you can print it. The Pastor calls you and needs his sermon notes and documents from a church service from August 6, 2017. What do you do? Pastoral Recordbase can generate the sermon notes and/or documents for this date with the click or two of a button so you can print the notes and/or documents. The Pastor calls you and needs a list of phone numbers of certain ministers going with him to the Minister's Meeting tomorrow. What do you do? Pastoral Recordbase can generate the phone numbers for these ministers with the click or two of a button so you can print the names and phone numbers. Do you have Access 2007 or higher version (2010, 2013 or 2016) in the Microsoft Office you purchased for your computer? Microsoft Office Access and Word 2007 or higher version and Adobe Reader is all that is required to fully enjoy all of the benefits of the Pastoral Recordbase - Event Tracking Database. Don't have it? You can purchase the software from any office supply store or better yet, you can buy a package deal from from eBay for a great low price. If you need the entire MS Office package (not just Access) then look for MS Office Professional (link below) because it includes every program you need and lots more. MS Office is any secretary's best friend - Great Programs! Database that is simple and user friendly. Access to unlimited events, sermons and phone records. Tracks events (Baby Dedications, Baptisms, Funerals, Weddings, and Any type of Events). Also, certificates, documents, and reports to print with these events. Tracks sermons (Pastor's or any other sermons). Also, sermon notes, documents, and reports to print if needed. Tracks phone numbers (Pastor's phone book to include ministers, etc.). Also, attachments and reports to print if needed. No security so you can modify Pastoral Recordbase and step-by-step instructions on how to easily add your security to Pastoral Recordbase when needed. Includes a Simple Step-by-Step Illustrated Concise User Guide. Includes 24/7 email and/or phone support. **Bonuses: Event Certificate Templates (Baby Dedication (2), Baptism and Wedding) & Event Planning Tracker in Excel (below). Just click link below, download and print to show your Pastor(s) or church exactly what this database will do! Click here for Pastoral Recordbase Screenshots in PDF. 1. 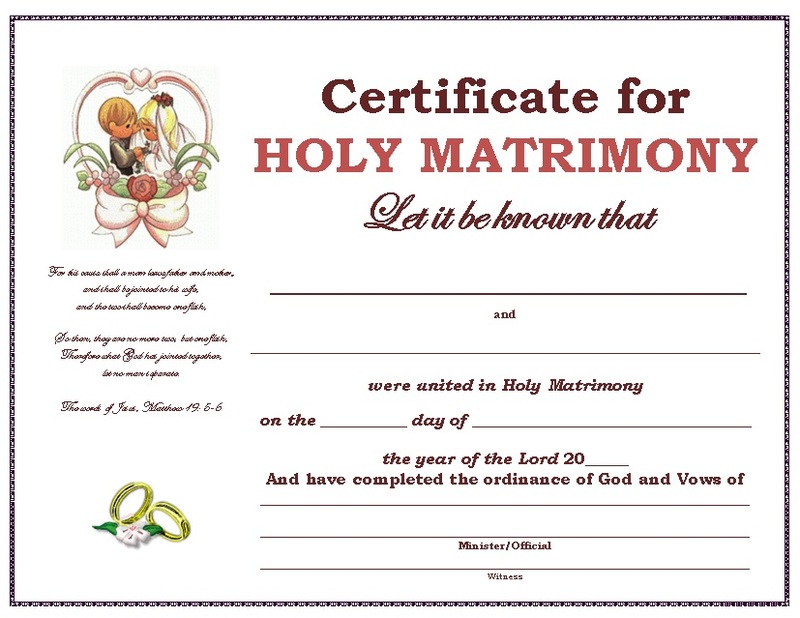 You will receive the 4 Event Certificate Templates (2 Baby Dedication Certificates, 1 Baptism Certificate and 1 Wedding Certificate) in Microsoft Office Word (pictures below). 2. 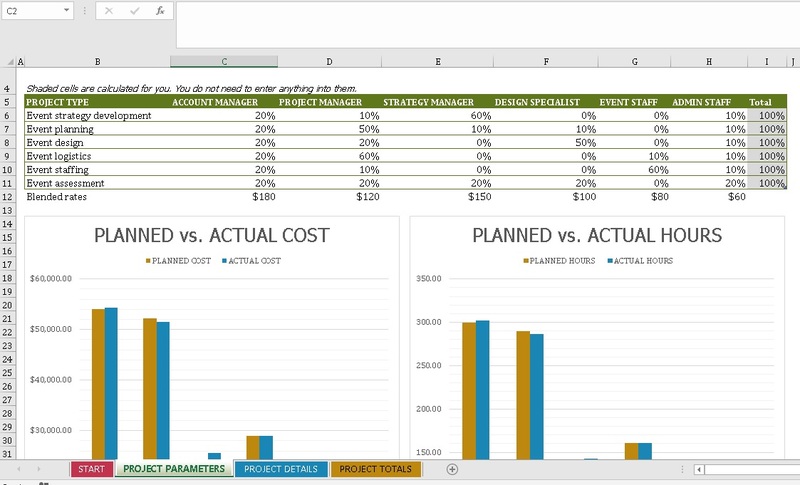 I also included the Event Planning Tracker in Microsoft Office Excel (picture below). Check out the Church Office Packages that is available for a limited time by clicking the picture below! 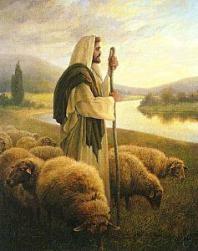 Church Office Package #1 (Shepherdbase - Church Membership Database + Church Forms - All the Forms on this Website - 2 CDs)! 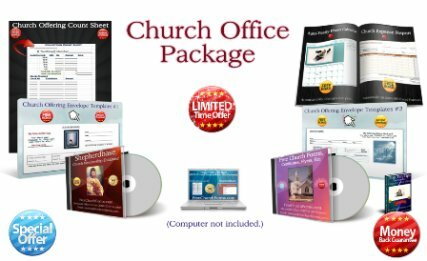 For a limited time...you can purchase the Church Office Package #1 Deal (Shepherdbase CD - Church Membership Database & the Church Forms CD with 900+ forms...along with Free Bonuses)! for only $40.99 plus Shipping & Handling ($9.00 anywhere in the United States) - Savings of $7.99 or the Church Office Package Instant Download (No CDs) for only $40.99 anywhere in or outside the U.S.! Taxes included Only For the State of Oklahoma Residents. Church Office Package #2 (Shepherdbase - Church Membership Database + Church Forms - All the Forms on this Website and Pastoral Recordbase - Event/Sermon Tracking Database - 3 CDs)! or the Church Office Package #2 Instant Download (No CDs) for ONLY $57.99 anywhere in or outside the U.S.! Taxes included Only For Oklahoma Residents. Click here for more information or to purchase one of the Church Office Packages! 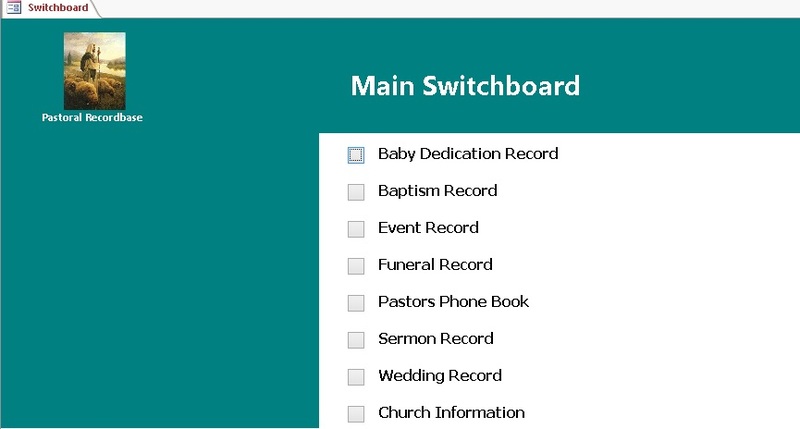 Pastoral Recordbase (Event/Sermon Tracking Database) is On Sale Right Now through April 30th, 2019 By High Demand for ONLY $19.99 - Savings of $5.00 + Bonuses (Event Certificate Templates (4) & Event Planning Tracker in Excel)...Hurry and Enjoy These Savings and Benefits! - CD Mailed - $19.99 + Shipping & Handling ($9.00 ships anywhere in the United States within 3-5 business days) + Sales Tax (Oklahoma Residents Only). Click the "Buy Now" Button below to purchase with any major credit card or PayPal to have the Pastoral Recordbase CD shipped to you. 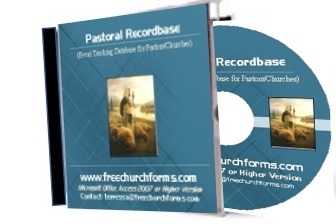 If you live outside the United States and want to purchase the Pastoral Recordbase I have the Pastoral Recordbase Instant Download available below where it states "Pastoral Recordbase (Instant Download - No CD)" anywhere in or outside the U.S. The PayPal Secure Checkout allows you to pay with any major credit card without a PayPal account you just simply click on the "Pay with a debit or credit card" during the secure PayPal Guest Checkout process. Important: Double check your email address before purchasing. If you have any problems with your PayPal Secure Checkout or Instant Download please contact me and let me know. I will be get back with you ASAP! Available in the United States and Outside the United States! Hurry and Enjoy These Savings and Benefits! Click the "Buy Now" Button below to purchase Shepherdbase Instant Download for ONLY $19.99 (No Shipping Fees Apply) with any major credit card around the world or with PayPal. ATTENTION: Please do not hesitate to contact me if you have any problems downloading. Contact me also if you don't receive your download immediately in an email or popup screen because this means that your email address was incorrect and I will need to email your download to you ASAP. You can purchase with PayPal or a credit card. If you do not have a credit card or want to set up a PayPal account, you can send a check or money order...just contact me for my mailing address. Your database purchase is 100% safe and secure - and 100% risk-free with our checkout process. Return to Home Page from Pastoral Recordbase.